You’ve already made the decision to be a responsible handgun owner, identified the intended purpose for the handgun and selected accordingly. You’ve also decided a brand of defensive ammunition. However, it seems that all too often, the same level of thought doesn’t go into choosing a gun belt. Speaking as a certified NRA instructor, there’s nothing more frustrating than seeing someone carry a $700 pistol in a cheap nylon holster on a sagging, thin, leather gun belt. Gun belt and holster selection should get at least as much consideration as the brand and model of gun one chooses to carry. 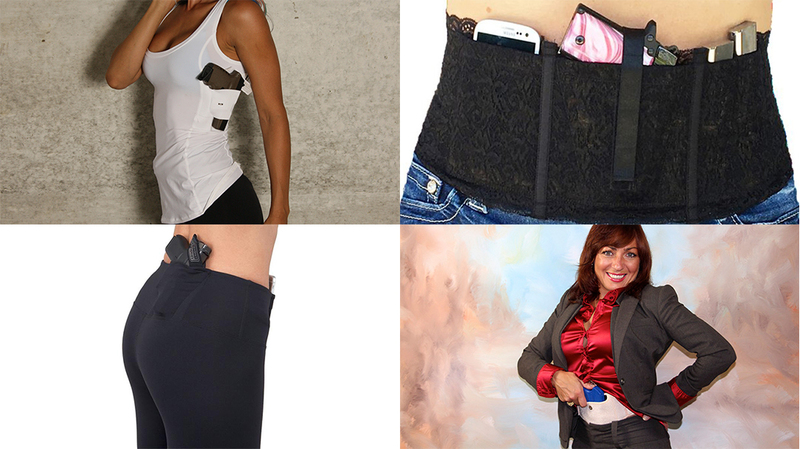 A quality gun belt not only helps support the weight of the gun on your body, but when combined with a quality holster, it also helps secure the gun as close to the body as possible to provide proper retention and prevent undue “printing” while carrying concealed. There are so many different specifically designed belts on the market that the conscious choice not to use one is inexcusable. Decision-making criteria, such as travel frequency and typical daily attire will drive some of the choices. However, most will make the decision to have multiple options depending on the day, or events they attend. 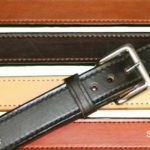 For those who prefer leather, there are numerous options available from major manufacturers to small independent leather smiths who make custom belts for the gun market. As each gun has its own purpose, most owners have more than one gun. 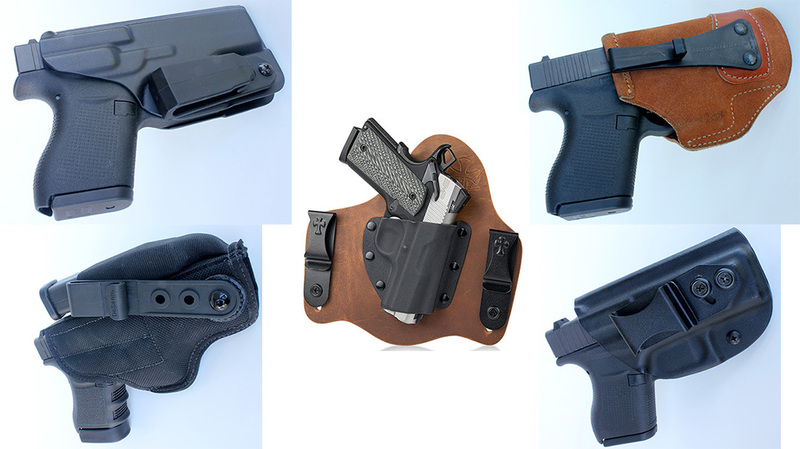 It stands to reason that you would have a variety of holsters for your associated models, but also a variety of belts to accommodate various situations or events. Web belts are an excellent choice for a variety of reasons, and may be used for training days where they’re worn in addition to your other belt to accommodate your holster and mag pouches. Other times, you need a single solution. Web belts are great for most day-to-day and range activities, but there are also situations where leather gun belts are more appropriate. Companies like Galco and numerous others offer literally hundreds of choices. 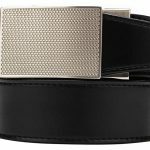 Options include a range of products from black, 1.25-inch-wide dress belts that can be worn with a suit and tan, 1.5-inch-wide, contour-fit belts that can be worn in nearly any casual situation. Of course, personal preference is the key factor. Some prefer double-layer, multiple-stitched leather belts over those that have Kydex stiffeners sewn in between the front and rear leather layers. Those who prefer leather and have distinguished tastes tend to look beyond the names of Galco and DeSantis to brands such as Tucker Gunleather and Beltman. These brands usually offer custom options in a variety of leathers and exotic materials with multiple size, shape, buckle and finish options. Prices can run into several hundreds of dollars, but the quality represents the dedication to producing a product that will last. 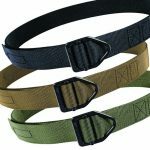 Manufacturers like Wilderness Tactical offer options like the Original Instructor Belt that are excellent quality at a reasonable price. Offered in a variety of colors and buckle styles to accommodate just about everyone, these belts are designed and manufactured to last. Much like your firearms and their associated holsters, it’s most likely you’ll own more than one. The belt is designed with a load-bearing buckle with an integral “V” ring. This enables the wearer to get near edges with a belay line secured to an anchor, restraining them in the event of a fall. Considering the thousands of belts sold, the popularity of this belt’s features and design speaks for itself. Some nylon belt designs can also be had with a Kydex or another plastic stiffener. 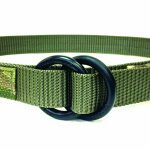 However, these lesser belts need the stiffener to meet the same results that Wildness Tactical gets from its high-quality webbing. “About 20 years ago, we had several meetings with webbing manufacturers and developed nylon and weaving specifications for our belt webbing. These specs gave us the rigidity we needed without using resin impregnation, which is commonly used by the industry to make webbing stiffer. The problem with resin is that over time and flexion, the resin powders and the webbing becomes limp. Ours will not,” said Holzhaus. The Instructor Belt buckles are of a military design and are rated to a 2,500-pound proof load. This means the buckle begins to deform at that load, but it won’t fail at that weight. “The 1.5-inch buckle is made in our buckle die at the foundry—the same with our 1.5-inch titanium buckle. The 1.75-inch buckles are made for us by the foundry, but in their die with our part number,” Holzhaus said. The complete Instructor Belts all test from over 4,000 to 8,000 pounds before breakage. The Titanium Instructor Belts test at 3,500 pounds. Wilderness Tactical’s “Frequent Flyer” model features a plastic buckle so it can be worn through a metal detector. Frequent Flyers use Delrin rings as buckles and are not rated for any type of life support. However, they are lighter and excellent for carrying weapons and accessories. 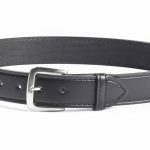 Frequent Flyer belts are available in all of the company’s other width options, but this line also has an exclusive 1.25-inch width. 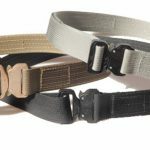 Wilderness Tactical also offers three-stitch, five-stitch and polymer-lined Combat Shooter’s Model (CSM) belts, as well as those with interior pockets for valuable items. Guys that like nylon belts but prefer a different buckle system can look at various designs that use the Cobra buckle. The High Speed Gear Cobra Rigger belt is one example, but there are models available to suit everyone’s needs. Companies like Nexbelt are also introducing some new and interesting alternatives. 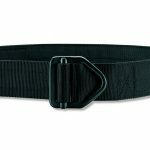 Nexbelt’s Tactical series belts feature a hole-less, ratchet-style adjustment system. But the company also offers a variety of buckle options and materials that are more suitable when the occasion demands a dress code that’s more than just casual. Finally, it’s important to provide the manufacturer with exact measured waist sizes when ordering. Because of this, Holzhaus advises consumers to visit the company’s site for directions. With more and more women embracing shooting sports, there’s also an opportunity for many manufacturers to fill and expand the selection of female-specific options in belts and EDC gear. However, it seems like most tactical belts are not practical, too big or too bulky for a well-dressed woman. The key is finding a balance of a smaller overall belt to fit women’s clothing without sacrificing reliable durability and functionality. An ideal belt solution would be no more than 1-inch nylon wrapped over Kydex, with a small Cobra buckle. This is similar to the current offerings from companies like High Speed Gear, just smaller in width to fit the smaller belt loops in women’s clothing. The goal is reliability and functionality in a size that is discreet. In the end, make sure that your entire carry rig has been given as much attention and forethought as possible. A proper gun belt provides better weight distribution and draw speeds when fractions of a second matter. Those who carry full-sized 1911-style guns will attest to the importance of weight distribution for EDC. This article was originally published in Concealed Carry Handguns, 2018. To order a copy, please visit outdoorgroupstore.com. 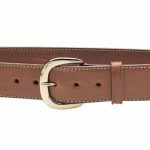 The post 9 Quality Gun Belt Options and Why Choosing One Is So Important appeared first on Personal Defense World.